For anyone who's been making the same recipes over and over again for months on end, and wants to try something new or challenging in the kitchen! 1. A 19-piece set of kitchen utensils so you can cover all your basic cooking needs, and do fancy things like ~sift flour~. I've never sifted flour before in my life, but it has always been a dream of mine to get to that level. Set includes: emoji timer, 10-piece measuring spoon and cup set (1 tbsp, 1/2 tbsp, 1 tsp, 1/2 tsp, 1/4 tsp, 1 cup, 1/2 cup, 1/3 cup, 1/4 cup, 1/8 cup), 2-piece 12" silicone spatula set, whisk, 2-piece tongs set (7", 9"), 3-piece strainer set (4", 6", 7"). Get it from the Tasty collection at Walmart for $33.53. 2. A cookbook that explains the what, why, and how behind cooking so you'll feel confident in improvising and playing around with recipes. Get it from Amazon for $16.99+. 3. A set of three prep bowls for anyone who needs ingredient inspiration. Perfect for making sure you don't forget key ingredients! Get them from the Tasty collection at Walmart for $6.97. 4. A pullout chrome cabinet shelf to bring your ice cream maker, cheese press, bread maker, and all other forgotten appliances into view so you actually remember to use them. Promising review: "Am I ever loving these! Installation was a breeze. It took all of 20 minutes to install 5 basket/shelves. If I hadn't dropped the screws it would have been less! These are restaurant quality, built to last and heavy duty. I am so pleased. Like so many others, I had to get on my knees to get to the lower shelves, using a flashlight to see what might be back there. I used these in my pantry, and a smaller one in another dark, lower cabinet. Just as they said, the shelves come all the way out even when fully loaded. None of that 2/3 of the way like other brands. There is just a bit of space on either side to slide my cookie pans in. I just can't say enough good things about these. They are worth every penny. I arranged everything on the shelves (with room to spare). When I had transferred everything back I realized that I now had an an empty upper cabinet where I used to keep chips, crackers, etc. YAY!" –Sandra L.
Get it from Amazon for $41.35+ (available in four sizes). 5. A set of two springform pans that'll make baking cheesecake and rigatoni pie much easier. Easier cooking = more experimenting. Find out how to make a rigatoni pie or a strawberry pretzel cheesecake in your springfoam pan. Get it from the Tasty collection at Walmart for $14.36. 6. A five quart Dutch oven you can make bread and tons of other delish recipes in, because homemade bread is a life changer. Find more delish recipes you can make in a Dutch oven. 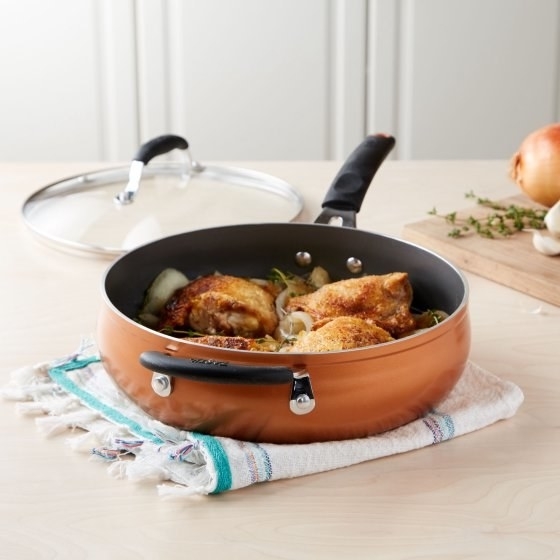 Get the Dutch Oven from the Tasty collection at Walmart for $27.88 (available in two colors). 7. 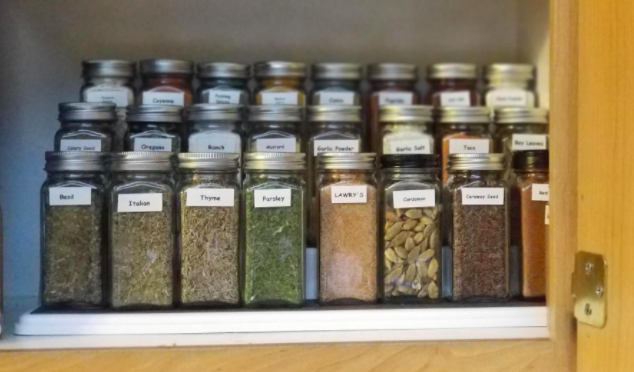 A spice organizer for opening up your cabinet and seeing the spices at your disposal and use them, instead of keeping the cabinet closed bc it's a mess. Get it from Amazon for $14+ (available in two sizes). 8. 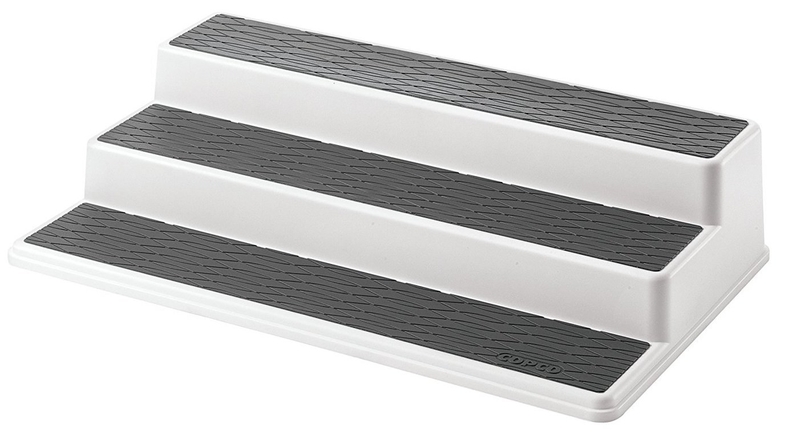 A ceramic non-stick grill pan to get you just as comfortable grilling indoors as outdoors. Try this grilled citrus salmon and asparagus recipe. 9. 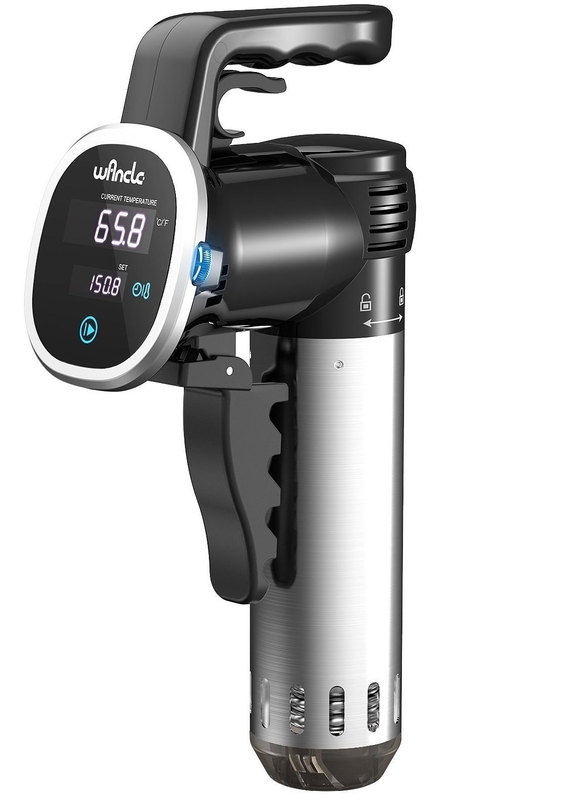 A sous vide cooker with a handy built-in clamping grip for anyone who wants to go from cook to chef in no time. Get it from Amazon for $95.35. 10. And a Tasty One Top induction cooker worthy of investing in. You can use it to cook virtually anything, and not much can go wrong when you can program the One Top to cook a recipe through the Tasty App. Get it from BuzzFeed's Tasty shop for $149. PSST!...BuzzFeed makes money if you buy this. 11. A set of three baking sheets and a list of easy one-pan dinner recipes that'll help you try something new without committing tons of time and work. Check out 18 more easy one-pan dinner recipes that'll make the most of your sheet pan. Get a three-piece cookie sheet set from the Tasty collection at Walmart for $9.97. 12. A non-stick saucepan and spaghetti and meatballs with bone marrow sauce recipe to put a new spin on an old fav. 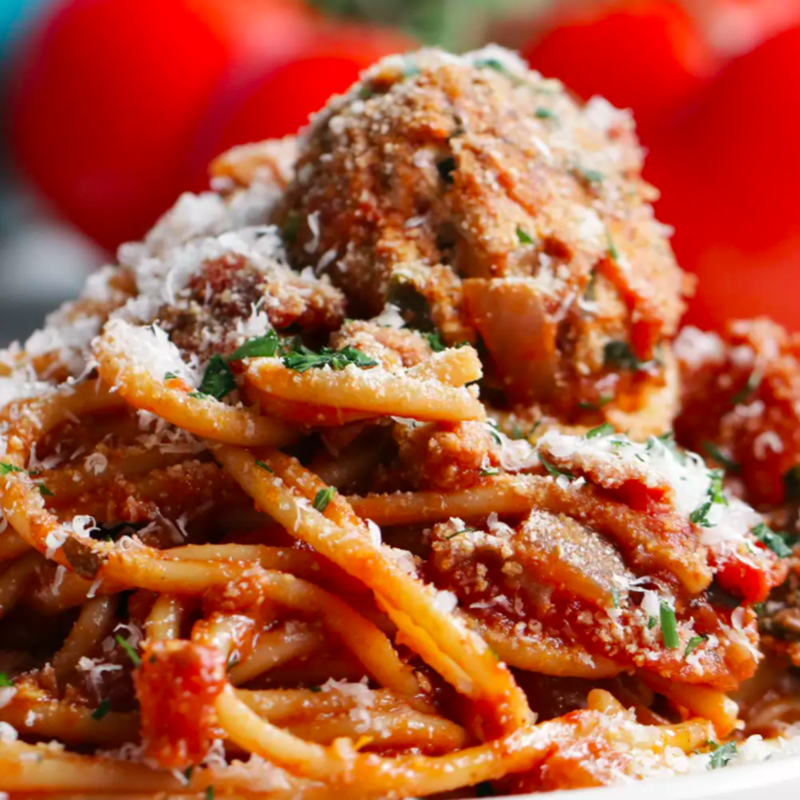 Learn how to make spaghetti and meatballs with bone marrow sauce. Get it from Walmart for $27.88. 13. A food processor — it just may help you conquer your ultimate food fear – like making a pie crust from scratch. I've been terrified of making pie crust for the longest, and I finally made my first pie crust from scratch using my food processor and this vegan, gluten-free pie crust recipe from The Minimalist Baker! Get it from Amazon for $37.81. 14. A fried Brussels sprouts recipe with ingredients you might not have used before – like goat milk and lemon zest – and a hand grater to get that zest. Get the full lemony fried Brussels Sprouts recipe. Get a hand grater for the zest from the Tasty collection at Walmart for $8.97. 15. 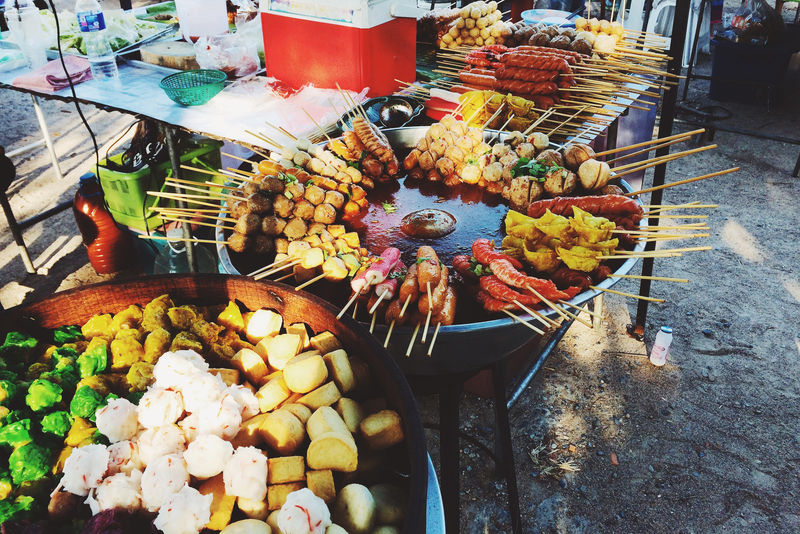 A food adventure abroad because every good chef knows the best recipe inspiration should come from all around the world. I've been watching Ugly Delicious on Netflix recently and there is truly a world of food out there just waiting to be discovered. Check out this story of 31 Places Around The World To Eat At Before You Die and tell me I'm wrong, I dare! Find the best places to book a flight online to begin your next vacay, or book a food adventure with travel deals from Groupon. 16. A cookbook that'll prove even those of us with food intolerances can make new versions of the food we love(d). Find more tips for eating gluten-free. 17. 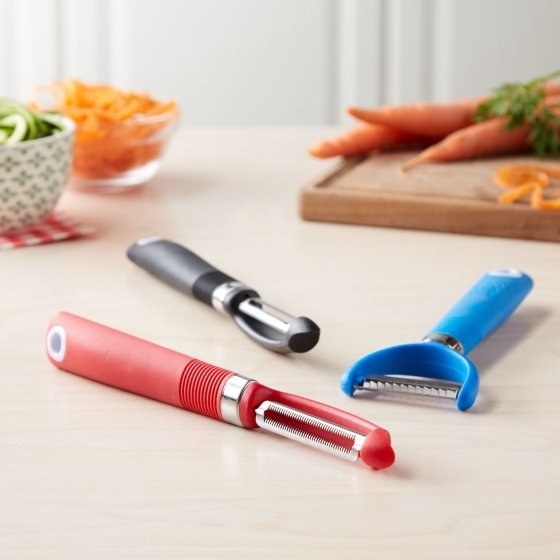 A set of three vegetable peelers and a veggie stock recipe you'll use to cut down on organic waste and use every part of the veggie like a pro. 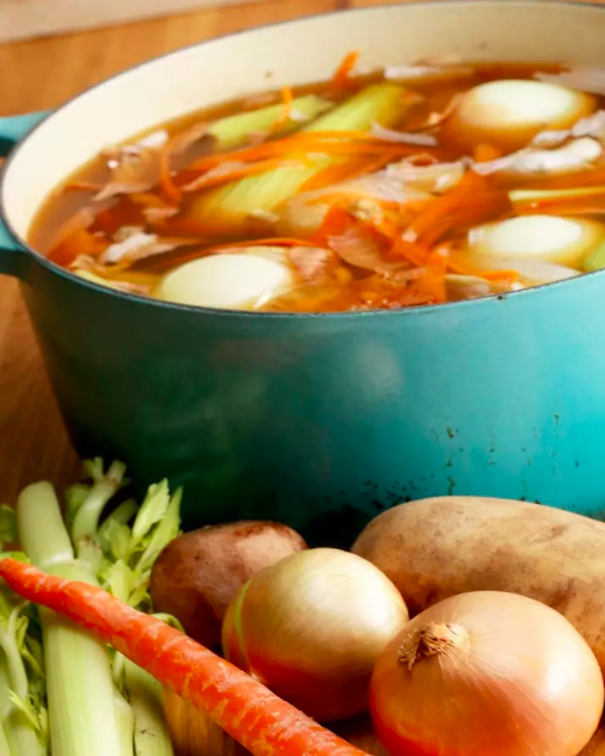 Become a soup making pro by making your own stock from veggie scraps. Get a three piece set of peelers from the Tasty collection at Walmart for $7.97. 18. A set of five flavorful spices from around the world for anyone who doesn't have travel money but wants to cook like a world traveler. Get them from World Market for $17.99. 19. 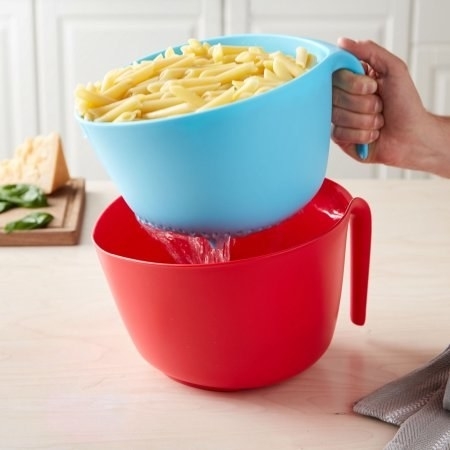 An easy to use colander set and easy homemade pasta recipe because sometimes you shouldn't mess with a good thing – unless you're improving it! Hello MTV, welcome to the house of pasta. 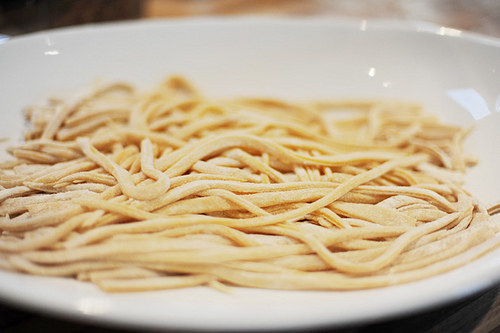 Make your own pasta with this easy recipe from The Pioneer Woman. Tip: you can use a pizza cutter to cut your noodles if you don't have a dough cutter. Get it from the Tasty collection at Walmart for $12.44. 20. A family recipe journal so you can finally figure out how to bake at the level of your 81-year-old grandmother, or master those Thanksgiving side recipes your dad makes every year. 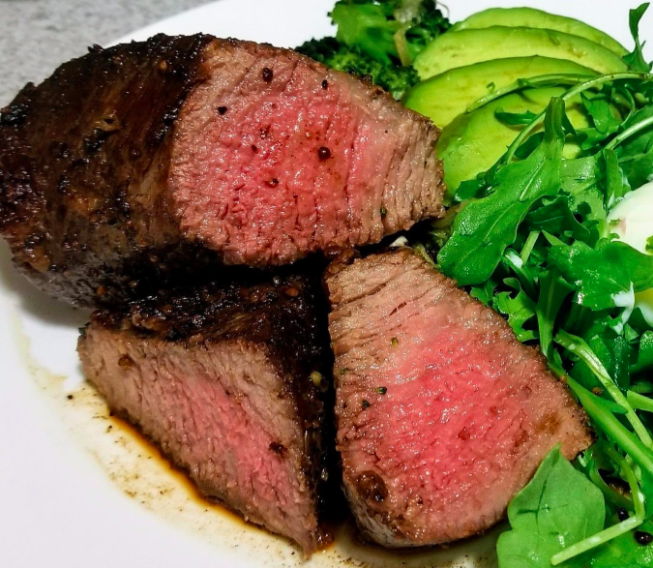 When I was first learning how to cook, I went around and collected some family recipes and learning how to make each one made me feel like a champ. It would have been a lot easier with this journal! 21. And the Tasty App which is FREE and full of recipes to get you out of your rut for good. You can even filter recipes by ingredient, dietary restrictions, social occasions and more. Download the Tasty app to be on your way to recipe heaven. Need help cleaning up? Check out our picks for the best kitchen sponges on BuzzFeed Reviews!